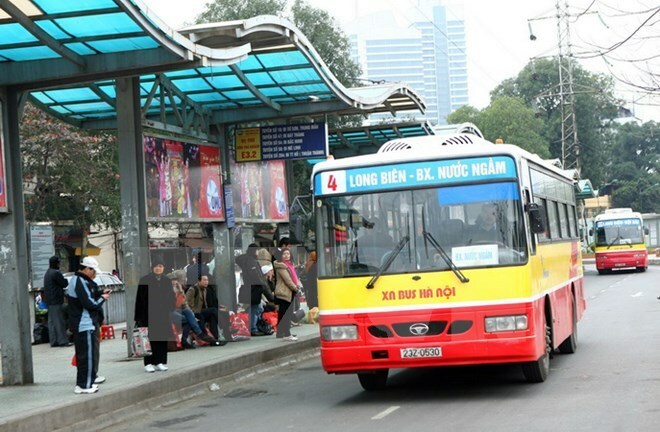 Hanoi (VNA) – Developing public transport is an important solution to facilitating the travel of people, reducing traffic jams and improving traffic safety, thus contributing to economic growth, said Deputy Transport Minister Le Dinh Tho. He made the statement at a seminar on sustainable urban transport and the sharing of experience in this field between Vietnam and Sweden, which was jointly held by the Transport Ministry and the Swedish Embassy in Vietnam in Hanoi on November 25. The deputy minister said the ministry is working to better mechanisms and policies to attract more foreign investments in terms of both capital and advanced technology in Vietnam’s transport infrastructure, especially public transport. The ministry welcomes cooperation in this field with foreign investors, particularly those from Sweden, as Sweden is lauded by the world for its success in making and enforcing traffic safety-related policies and developing sustainable public transport. Swedish Ambassador Camilla Mellander stated that with a growing economy, Vietnam will face numerous challenges n urban development. Therefore, a transport system with reasonable costs will help residents travel at the shortest time. According to Head of the ministry’s Transportation Department Tran Bao Ngoc, Vietnam is seeing a rapid increase in the number of vehicles, especially in major cities. Ho Chi Minh City now has around 7.2 million vehicles, including 659,000 cars and more than 6.5 million motorbikes, while Hanoi has 543,000 cars and over 5 million motorbikes. Meanwhile, around 10,000 buses are running on nearly 500 routes in the country. According to public transport development orientations, by 2020, public transport should meet 25 percent of travel demand in Hanoi, with urban railway making up 2-3 percent. The percentages for Ho Chi Minh City will be 20 percent and 4-5 percent, respectively.